Policy Watch recently reviewed more than 20,000 pages of data and published a story about groundwater contamination in wells around four of Duke Energy’s coal ash ponds. We covered Marshall and Cliffside last Monday and Allen on Friday. Today, we look at the contamination at the Buck and Dan River plants. 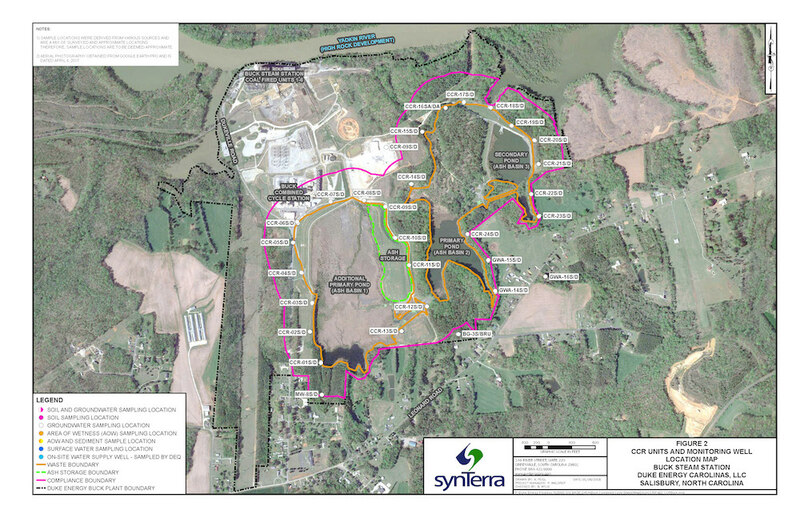 Later this week, we’ll publish results of the contamination at Sutton and Roxboro. The groundwater standard is 10 parts per billion; the highest reading was 158 ppb. Fourteen percent of the samples taken from the wells tested above the state’s groundwater standard. Duke Energy has monitored the groundwater at its plants, but these results were released as part of the EPA’s coal combustion residuals law. The wells in question are within the plant’s compliance boundary and are not used for drinking. However, state and federal regulators require monitoring of groundwater because of its potential to travel underground and then enter drinking water supplies and surface water, such as lake and rivers. Known to cause cancer, arsenic is commonly found in coal ash. It also used in other applications, such as pesticides on cotton plants. Dan River is the most notorious of Duke Energy’s coal-fired plants. 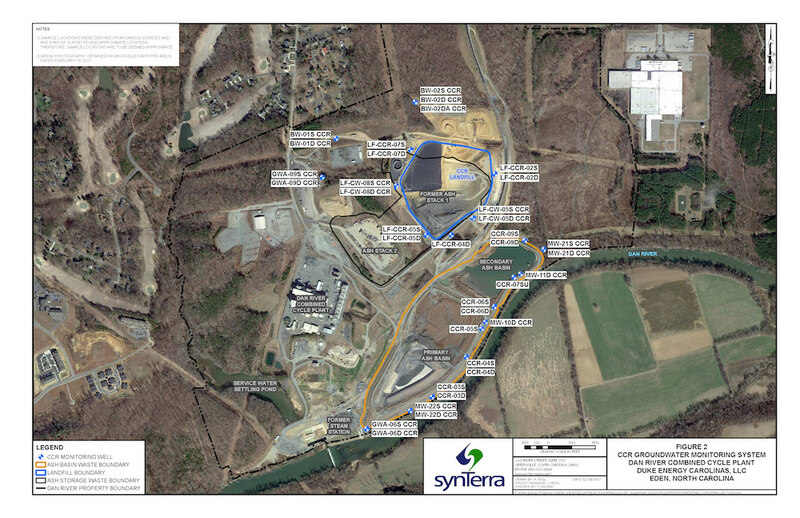 In February 2014, an impoundment breached, sending 39,000 tons of contaminated wet coal ash into the waterway and 70 miles downstream. The EPA fined Duke $68 million in criminal fines for violations of the Clean Water Act, and required the utility to pay another $34 million toward environmental projects and land conservation. Although four years after the spill, tests have shown the surface water no longer has exceedances of arsenic — thanks to dilution — some contaminants may have settled into the riverbed. But it’s inadvisable to excavate the affected portions of the riverbed because it could release more contamination, including PCBs. The primary contaminant at Buck plant near Salisbury is not arsenic, but cobalt. More than half the samples tested above the groundwater standard. A toxic metal, cobalt is widespread in groundwater near coal-fired power plants, but it’s also naturally occurrin. Further analysis will be required to determine the sources of the contamination. Federal health officials have determined that cobalt likely causes cancer.